1. Heat oil with butter in a large fry-pan over medium-high heat. 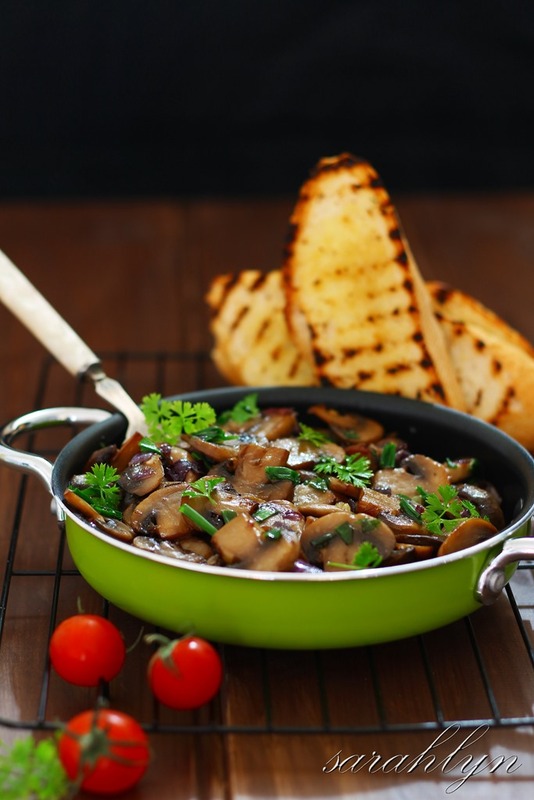 Cook mushrooms for 2-3 minutes or until golden. Transfer the mushroom into a bowl and set aside. 2. Using the same pan, cook onion on medium heat for 1-2 minutes until translucent then add garlic. Cook for 1 minute until aromatic. Return the mushrooms and chives cook for 3 minutes. Season with salt and freshly ground black pepper, to taste. Garnish with parsley. Serve with char-grilled bruschetta or sourdough.